BENCHMARK-setting safety; Scandinavian design with a funky yet modern twist. The remit for Volvo's new XC40 looked like a list on one of the reality renovation shows. Only Volvo has delivered more than a fancy paint job and arbitrary ergonomics. The XC40 emerges as one of the best buys in the premium SUV segment and advances the brand's surging popularity. Following success of the seven-seat XC90, quickly followed by the XC60 that was named World Car of the Year, this compact derivative is more Swedish multicultural gold. Volvo is a brand on the move. Flush with cash courtesy of Chinese parent company Geely (which took the reins eight years ago and also owns Lotus, London EV Company and Proton), the manufacturer once famous for playing it safe has become a trailblazer. There are plans for plug-in hybrids to be introduced across its entire range and an all-electric I-Pace will be released later this year. Every new Volvo car launched from 2019 onwards will have an electric motor. By 2025, the marque expects half of its sales volume to be fully electric. 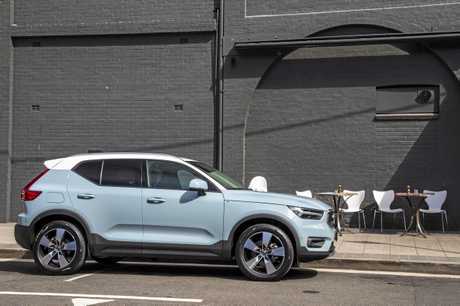 While this XC40 range starts from $47,990 plus on-roads, the turbocharged petrol R-Design Launch Edition on test has all the key inclusions for $56,740 before the dealer charges are settled. Using technology from the 90 and 60 Series offerings, the dimensions may be small but it's big on inclusions. Little wonder it was first revealed at the fashion hotspot of Milan. Vertical styling of the air vents and central colour screen, minimal dials and buttons, liberal use of chrome finishes and polished aluminium are a triumph. Our interior experience was in the standard charcoal, but there is an option for "lava” red carpet which covers the floor, lower dashboard and door inserts. Less expensive models will have a variety of options from which to shop, but the Launch Editions have just about everything included. Equipment basics are smartphone mirroring apps Apple CarPlay and Android Auto, leather trim, panoramic sunroof, power tailgate, steering wheel paddles, along with sporty R-Design steering wheel, gear lever and pedals. Exterior colour options are red, two white shades, a pair of blues, sliver, grey and a black duo. Servicing is expensive, with a $3320 plan covering four years or 60,000km. The upgraded "Plus” plan costs $5160, and includes brake pads, front discs and wheel alignments, which are usually added extras. Jump on the right pedal and the turbocharged four-cylinder almost rips up the bitumen. Quicker and more nimble than many specialist sports cars, it can reach 100km/h from standstill in 6.4 seconds - not much will keep up when you get pole position at the lights. Sitting on massive 20-inch alloy wheels with low-profile Pirelli P-Zero rubber, the ride and overall performance is surprisingly supple. Quiet even on coarse bitumen, the steering is light and accurate, although the downside of its agility and sure-footed all-wheel drive grip comes within confined spaces. The large turning circle can be challenging while parking and when contemplating U-turns. Exercise that right ankle too often when using the sportiest of driving modes and the trade-off is quickly found at the bowser where it prefers top-shelf unleaded. Our average was just below 10 litres per 100km, more than two litres above the official figure from Volvo. One annoyance with the XC40 comes when shifting into gear. It requires a double tap in either direction, shifting into neutral first before finding drive or reverse. 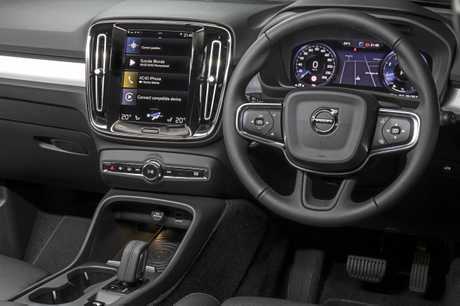 Volvo calls its interior design the "human-centric approach”, and once you get used to the pinch and swipe operation of the tablet-style display everything is cohesive. The display is required to access aircon controls, which can be slower and more difficult to find when on the move as opposed to a traditional dial or button design. If the petrol proves too expensive or thirsty, a 2.0-litre turbo diesel (140kW/400Nm) is also available while a cheaper turbo three-cylinder petrol is due to join the line-up in late 2019 or early 2020. The boot space is impressive for a compact SUV. A family trip saw it easily handle one large suitcase and two carry-on bags without having to remove the parcel shelf. There's an outstanding array of kit, but what else would you expect from Volvo? 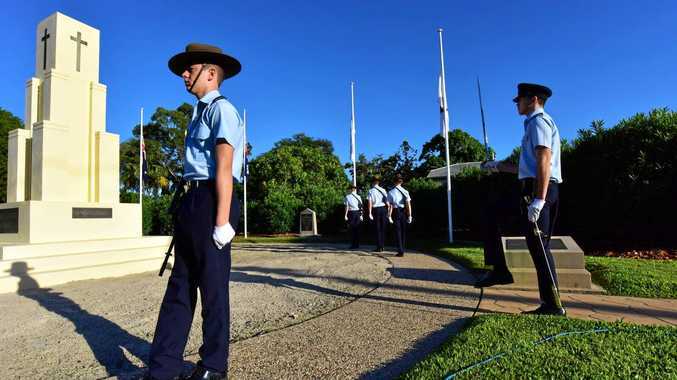 It has five stars after being tested against tough new 2018 criteria, which has a greater focus on child protection. 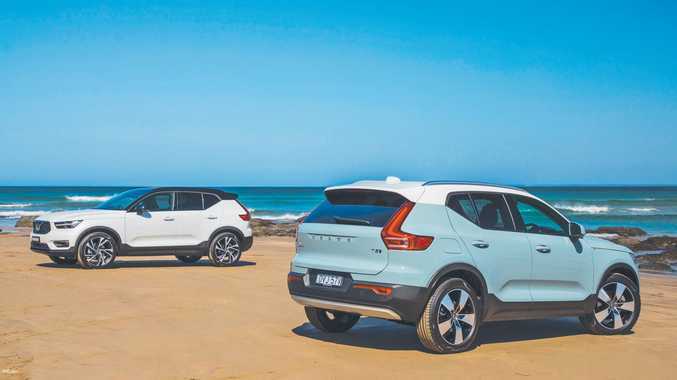 Taking autonomous emergency braking to the next level, the XC40 scans for pedestrians, animals, cyclists as well as other oncoming vehicles and can help brake and steer to avoid a collision if the driver doesn't act quickly enough. It also has other expected kit, like blind-spot warning, rear cross-traffic alert and a 360-degree camera. The "Pilot Assist” function offers semi autonomous driving and can gently steer the car. It's available via a button on the steering wheel, which takes the stress out of driving in traffic - you do have to put your hands back on the wheel after about 30 seconds. 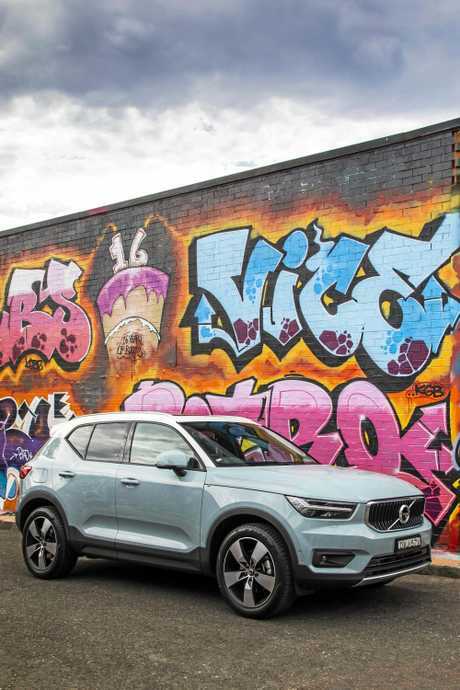 Expensive options, solid car-like all-round performance from the 2.0-litre 4cyl 183kW/365Nm engine with a nine-speed auto, but it falls just short of the XC40 in just about every facet. Nice little package, and it's got slightly more snob factor wearing the leaper badge. Groovy blend between sports hatchback and SUV, with a low stance and 155kW 2.0-litre turbo/seven-speed dual-clutch auto/all-wheel drive. A new model coming soon will be even better.